Last weekend (Labor Day Weekend) we met Grandpa Paul and Grandma Cindy, and their friends George and Vicki at the Ellensburg Rodeo. The Ellensburg rodeo is one of the top 10 rodeos in the U.S. and brings in big names and top stock along with it. 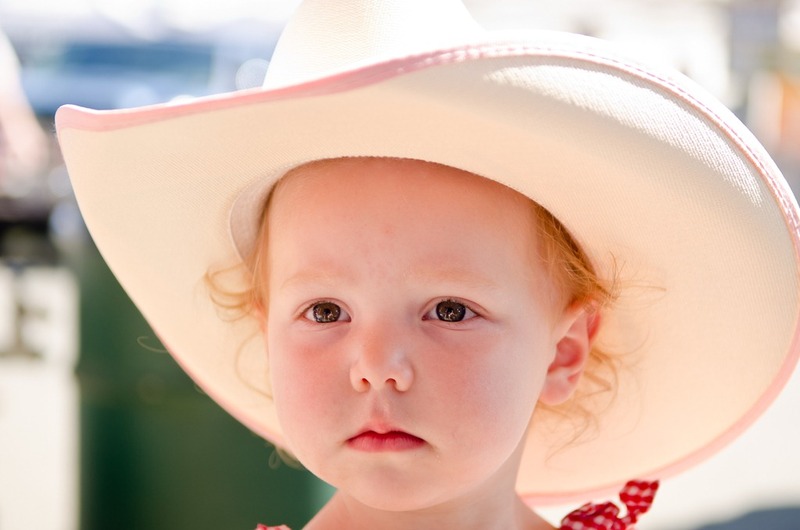 Knowing that Molly enjoys seeing horses and loved her pony ride last fall, the rodeo looked to be good fun for all. 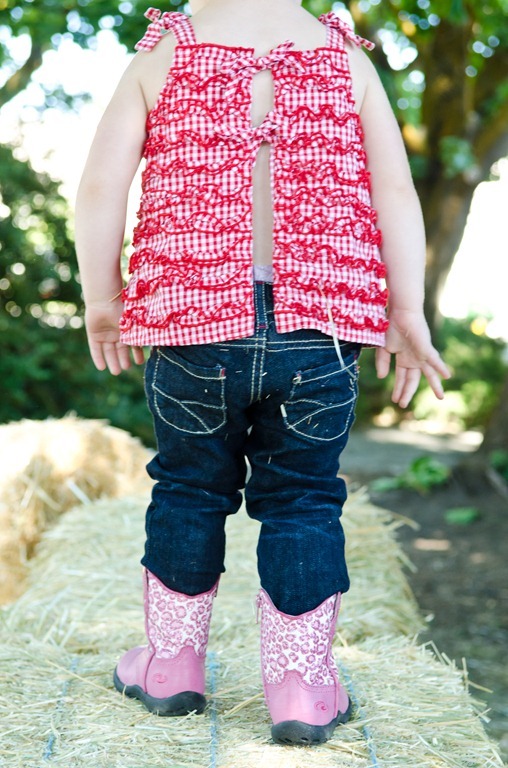 Since we were now in “eastern Washington” as Seattlites claim all of Washington that is east of the Cascade Crest, we had to stop by the local general store get Molly a pair of boots and a hat to fit in. 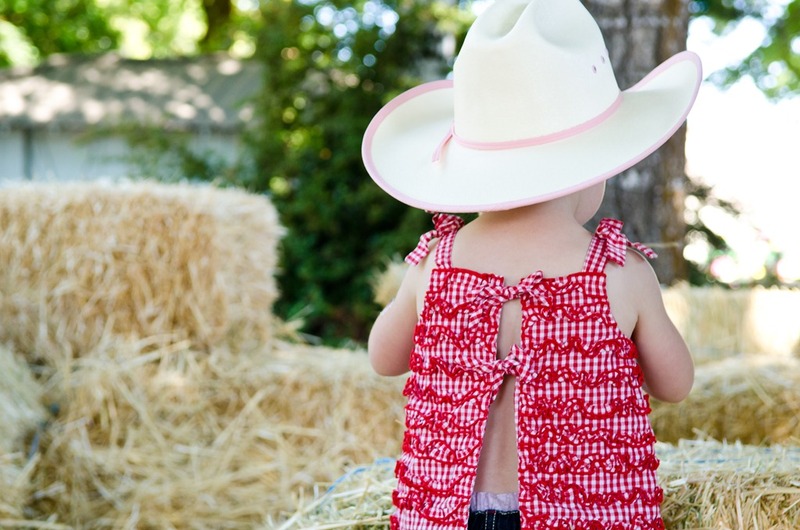 Molly is definitely “all girl” and knows when she is dressed up, whether it is tutus, fancy dresses, or dudded up in a frilly tank top, cute boots, and a cowboy hat that could hold half a gallon of milk in it. 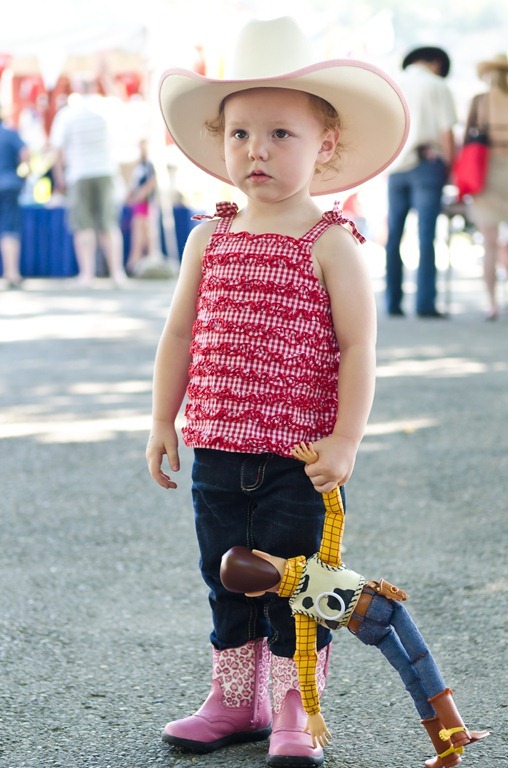 Molly’s favorite movie is any of the three Toy Story movies (she calls the movies “Cowboys”), so her brand new Woody doll accompanied us everywhere, and was the perfect accessory for a toddler at the rodeo. 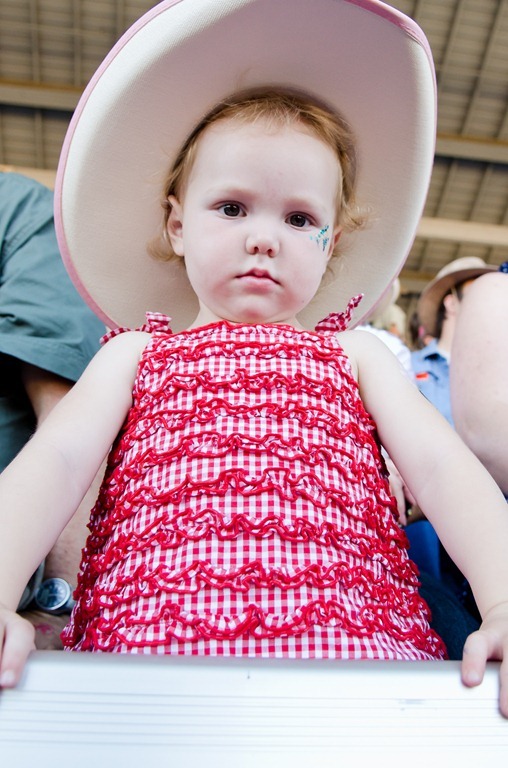 The rodeo arena was located in the middle of the fairgrounds, next to all the 4H animals, booths, food, and carnival rides. 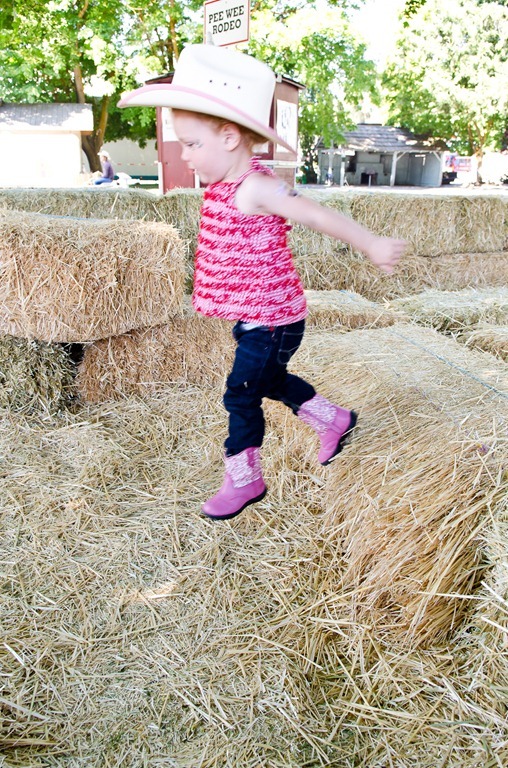 We found some hay bails for her to play on and burn some energy before sitting in the grandstands for three hours. 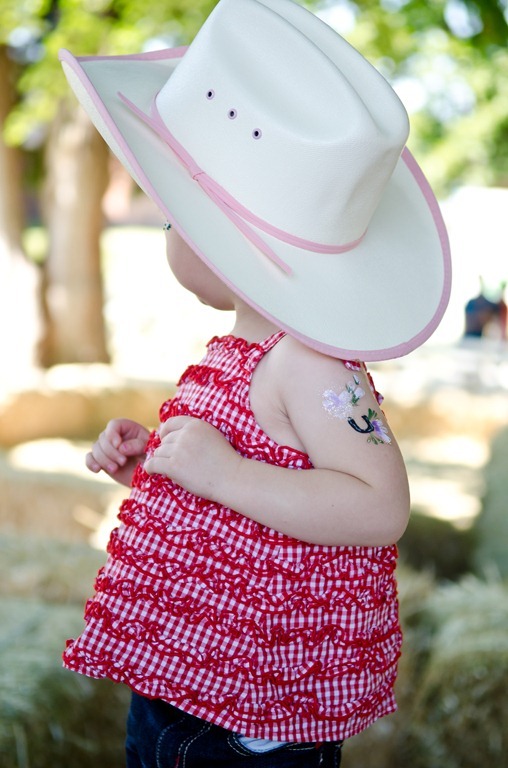 We didn’t take her on any rides, but she ate her fill of fair food, and had horseshoe painted on her arm. 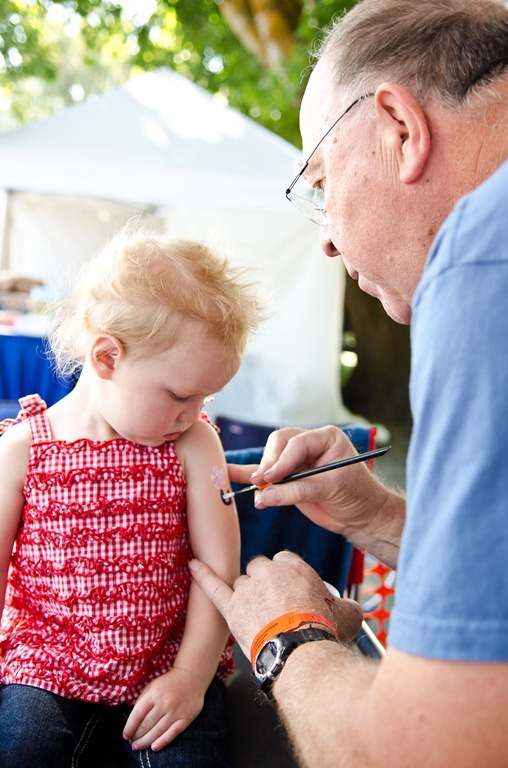 It is incredible how still a 2 year old can sit if they are getting their face and arm painted. 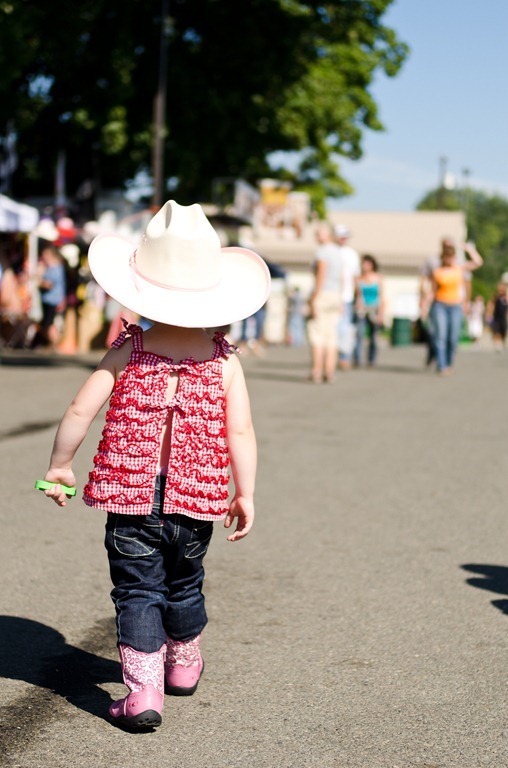 We all enjoyed the rodeo and expect we will be back, whether it is in Ellensburg, Pendleton, or perhaps a smaller local one.